Meditation has a huge potential and can be used in different ways for different purposes. Thus, many experts claim that it also helps students to write better essays. There are multiple proofs that it does almost miracles and develops a person in various directions. We have investigated this case and can prove this claim. General enhancement of IQ level. Sufficient improvement in brain activity. These and many other benefits directly affect the process of essay writing. A team of highly qualified academic writers from a professional essay writing service will highlight them in details below. Our brain plays the main role in all processes that involve thinking. Meditation greatly stimulates brain activity and positively reflects on the process of thinking. It significantly enhances the IQ of students. One study focused on the engagement of Transcendental Meditation and it showed impressive results. This kind of meditation increases the amounts of fibers in the areas of the brain that are answerable for our behavior and emotional state. It positively affects neurotransmitters or natural chemicals. Their increase leads to the improvement of learning effectiveness after 11 hours of meditation. All students experience a certain level of fear when they write their assignments. Even if they know that they are good at writing some essays and topics, they have a subconscious fear of failure. This leads to great stress and anxiety. Moreover, many students begin to suffer from different kinds of depression (there are 4 major types). 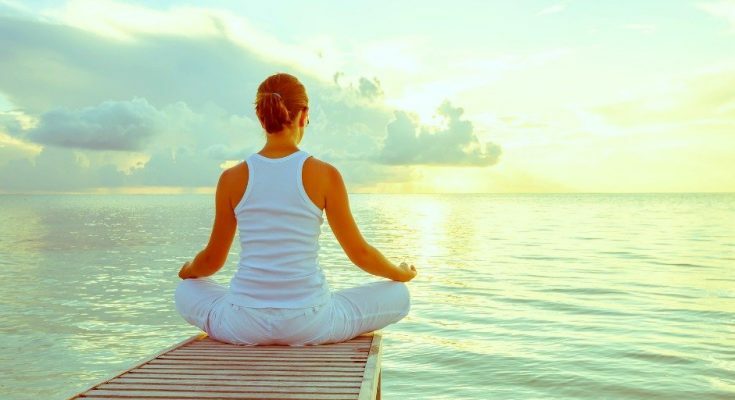 Meditation is one of the most effective measures to reduce stress. Thanks to fighting back an unstable emotional state, students maintain their attention and concentration. They resist physical effects easier and as a result, their grades improve. Charles Drew University also conducted a study and showed that the possibility of the occurrence of depression decreased to 48%. The productivity of students increased up to 14%. Another important factor that leads to a successful accomplishment of assignments is your mood. It’s supposed to be high because when we’re happy our brain activity works at its maximum. As meditation overcomes stress sensations, it clears the path to happiness. The studies of the University of Michigan proved this statement. The participants were asked to practice meditation for four consecutive months. The results were satisfactory. After the therapy was over, the researchers calculated new results and found great progress. On average, students become more exact in their expressions on the paper, show emotional stability and improve self-confidence. It’s worth mentioning that students felt the freedom of thought. They reported getting rid of unhealthy thinking. This improved self-control and rationality. All the mental burdens fall down and set a positive tone for their essay writing. One more crucial property of this therapy is the increase in spirits. Inspiration is another positive adverse effect from the general improvement of mood. Consistent practice of meditation dissolves that illusive barrier between an essay writer and excellent writing skills. The silence of this process leads to the expansion of our consciousness and self-awareness. We gain inspiration, as well as sharpen perception and understanding. This triggers nervous centers that are responsible for our creativity. The amounts of natural chemicals increase and improve the quality of brain functioning. Creativity is one of the most important targets of the US educational program. Teachers and professors encourage their students to write creative pieces that step out of the crowd. They help to express the personality and individuality of every student. Accordingly, this benefit from meditating fully suits this demand. Many academic writers and artists regularly practice different forms of meditation to find their muse. To express our thoughts better, we need the clearness of thoughts. Meditation comes to aid again. Students are overloaded with lots of assignments. They are different and have different demands and purposes. It confuses a lot and many youngsters mess up what they are supposed to perform. Thanks to meditative benefits, it becomes possible to quickly refresh the mind and regain focus. Students become more determined and concentrated on their tasks. The memory capacity increases as well. At times, intuition plays a decisive role in guessing the right answer. It’s not always possible to find the right answer because some questions are overly complicated or there is little data on the necessary matter. Thus, intuitive skills step up. Your intuition also gets reinforced thanks to meditative procedures. It sustains creativity to generate more smart ideas. If a person isn’t motivated, things go amiss. You should be enthusiastic about what you are going to complete. Motivation goes hand in hand with inspiration and is also utterly important. A low level of motivation leads to frustration and even depression. Accordingly, you should reinforce it if you have problems with getting proper motivation. Meditation serves as fuel for your motivational state. It makes people more attainable and determined. This positively reflects on the essay writing results of students. They get inspired and generate great ideas on how to cover this or that topic. Meditation nourishes our spirit and calms down uneasiness. Our brain gets relaxed and we complete tasks much easier and faster.